“How do you wait well?” she asked. The question was posed in our writing group. She’d been waiting for weeks on news that would propel her life in one direction or another. Goodness knows I’ve done my share of waiting. We all have. In fact, my gut tells me that there’s at least one big thing you’re waiting on right now and you know what it is to slog through weeks and months and even years of waiting. Maybe it’s something you long for, maybe a good and even godly longing, but it has yet to happen. Maybe it’s something you’ve prayed for — God tells us we have not because we ask not — so you’ve prayed and asked God to move or to remove, but it has yet to happen. Maybe it’s something God called you to and you gulped down fear and stepped out in big faith, but now find yourself waiting because it has yet to happen. And that wait is hard. 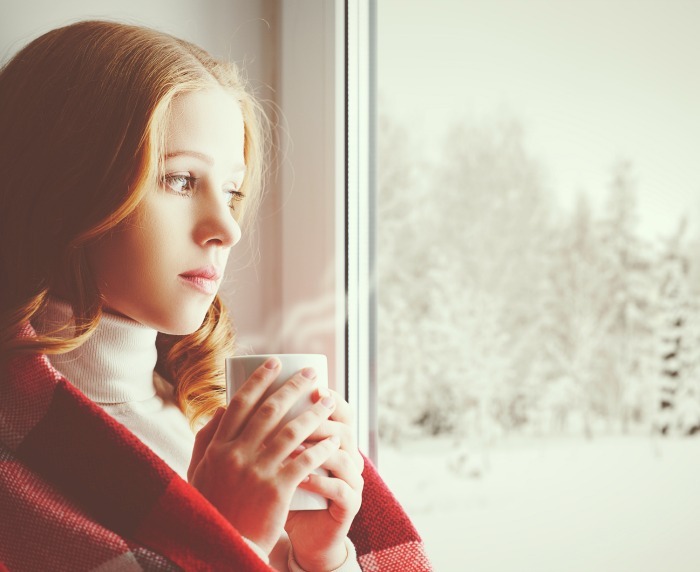 Waiting is its own brand of hard — different from the crisis of a health diagnosis or the gut-wrenching pain of loss or the practical kick that comes with financial problems. But here’s the thing: waiting is meant to be hard. Waiting is daily dying to our agenda on our timeline and yielding to God’s agenda on his timeline. Waiting is a slow crucible which tests our faith and brings us to maturity. Let’s look at 5 ways waiting refines our faith. 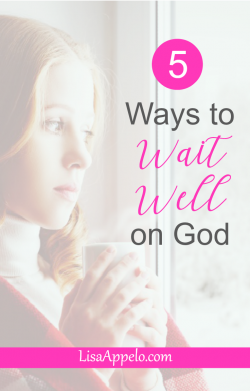 1.Waiting well makes us draw near to God. We learn to pray and persevere in prayer. Waiting makes us perk up our eyes and ears to listen for God’s answer and direction. We cling to God because of the suffering that comes with waiting. 2. Waiting well keeps our focus on God. Waiting brings us to the end of ourselves. It’s a place where only God can open the door, remove the hard, fulfill the longing. Even when it looks like God isn’t working, times of waiting make us more aware than ever that we need God to work. 3. Waiting well show our insufficiency. Our flesh isn’t strong enough to wait on God. We are not sufficient for the wait. that in the Bible as people like Abraham, Sarah, Jacob and Saul forged their own way rather than waiting on God. God takes us way past our natural ability to persevere until we come to the end of ourselves. Waiting causes us to go to God over and over and over, and ask for his strength to continue. 4. Waiting well reveals our idols. Even good and godly things can become idols we elevate above God. They can consume our thoughts and heart so that we become fixed on what we want from God rather than God alone. They keep us discontent where God has us because we’re longing for that open door, that next chapter, that deep desire. But as the smith keeps gold over the flame until impurities are revealed and removed, God allows waiting to reveal the dross of our idolatry to refine our faith. 5. Waiting well matures our faith. Despite 21st century meme theology, God isn’t about giving us our best life. He’s about making us like Christ. Waiting for months and years stretches our faith, forcing us to anchor our hope in God again and again. Though it feels like the wait is just marking time, God uses the wait to mature us. How do we wait well? We let God work in us in the wait. We deepen our prayer life, fasten our focus, petition for endurance, prune outt idols, and strengthen our faith. P.S. My newsletter goes out tomorrow. Each month it’s chock full of more heart-to-heart talk I don’t share on the blog, freebies, news and my favorite recs. Get it right in your inbox by subscribing here! I needed this today. I have been waiting for God to help my drug addicted daughter. He has, she is 1 year drug free, and I feel blessed. But now that she has passed this marker, I am waiting on her to get the rest of her life back. My husband is mad all the time, saying that she is using us and looking for a job hard enough. We have custody of her/ my 2 grand kids. Young teens who take a lot of money and time, and eat everything that isn’t nailed down and so does she. We were doing well when it was just the 2 of us, but know with 5 mouths to feed on a limited income, it is a stretch sometimes to make ends meet. I will wait on God, for in His perfect timing everything will be okay. I need to go to God, focus, ask for strength, kick out idols, and grow my faith in god. Thank you for always having something so timely for me. I pray for you and your family, know that you are loved by many. Idols…that one caught my attention AND caused me to cry, “Ouch!” True…painful, but true. Great post! Great post. I like your advise on wait well on God,I’ve been waiting for several years for promises that are not a reality in my life. And what you say is true, waiting is hard;it has a purpose and a meaning. Your post today was an unexpected blessing. Just what I needed to be reminded of right now. Thanks, Lisa! Oh those “good” idols get us every time, don’t they? God has been revealing so many things to me over the past year. Pruning my heart! Thanks for this good and true word! This message was such a timely Blessing. Idols…..caught me off guard. Because yes, what I have been praying about has consumed my thoughts. I really needed to see that. Thanks for the eye opening message.